I have never been one to get too excited over podcasts. I know there are a good number of people who like to listen to audio content on their mobile devices or while driving in the car. Me? I prefer to listen to something like Pink Floyd or the Grateful Dead when I have a little down time, so podcasts have never been my thing. That being said, they do have their place among delivery media. 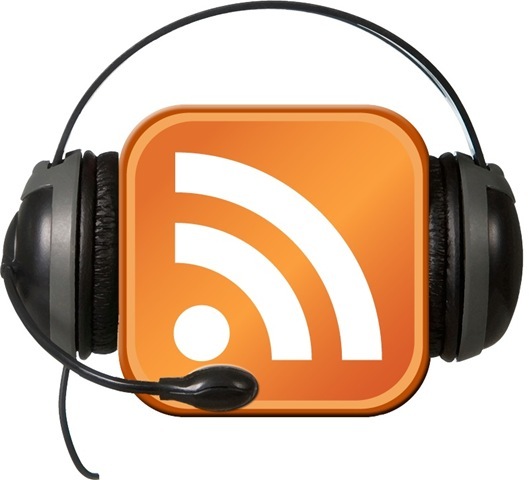 And since most of my learners are sales and service professionals who do spend a lot of time in their cars, I have had my team create a podcast library of downloadable resources for "learning on the go." This list comes to you courtesy of the Fall 2010 EME6415 class at Florida State University. I think of Podcasting as more like additional references. There are variety of topics to choose from and all you have to do is determine who's actually the most qualified to give advice or lessons. I wish more app developers would create e learning authoring tools that educators can use in their blended learning sessions. I would have to agree that when I think of podcasts, I too think of them as references for performance support rather than as something that could be used as a primary tool of instruction. However, as a class, we did explore the possibilities and boundaries for their usage, which is what you see reflected here. Slightly odd question here... I run a 3D blog that had tutorials, the odd review, some advice posts, and so on. I'm thinking that maybe a podcast would be a good idea and some of my readers are agitating for more of that (and video-casts). What I'm wondering is what subects are best suited to audio learning? A lot of what I do requires visual aid, there's already a ton of podcasts available for general advice, reviews are fine but again it could be quicker with visual representation... I'm leaning slightly towards a 'general interest' cast focusing on what's happening in the industry. In my experience the best subjects for learning podcasts are those topics that are aural in nature, meaning they are topics that are based on how things actually sound. I've used podcasts to support communications topics such as how to give feedback, coach or counsel. We've also had success using them for discussing selling techniques. Also, one of my team members put together a podcast series in which he interviewed managers who received high scores in our company's employee engagement surveys about how they managed their teams and what actions they specifically took to achieve their high scores. The interview format worked quite well. Listening to two people talking to each other is much more engaging than listening to one person talking at you. Thanks for visiting my blog. Hope this helps. I'm doing research on podcasts for a project and this is by far the most comprehensive list I've come across. Thank you! Thanks For Sharing his Greate post. i like this post.